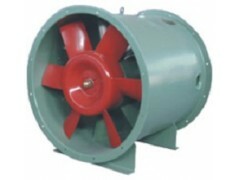 Axial-flow type ventilator, assembled with high-temperature resistance motor and motor cooling system. Compared with HTFC centrifugal blower, it is affordable and suitable for the places where do not demand low noise and special outlet angle. · Flanges of the cylinder are made of spinning flanging process. The above table is just part of the performance of our product. We can provide customized product, so please make your performance requirements. This series of products are widely used in high-rise building, industrial and mining enterprises, underground garage and warehousing workplace ventilation. 1. Your inquiry and question will be replied within 24 hours. 2. Professional foreign sales staff gives you best service. 4. All our products will be provided with best quotation, excellent quality and prompt delivery. 5. Sample is available by express.